With a range of services, you're bound to find a solution that will suit your online and communication needs. Competitive price for the quality assurance and great customer service. ADSL in a nutshell is fast broadband internet through your telephone line. If you want more information feel free to browse the What is ADSL? page. Speeds of upto 20Mbps with ADSL2+. Bundled with our Telephone Line, with 16.5c local calls. No need to wait long for big downloads to finish. Ideal for streaming high quality video from the net. Competitive pricing for Great Service and Fast Internet Connections. Lots of benefits. 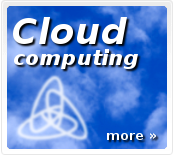 We have two departments for shared web hosting. 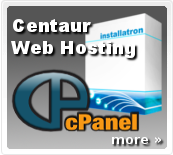 On one side we have the self managed Centaur Shared Web Hosting. And the other side of the coin is if you want phone support to add, change or delete an email address or make changes to your MX records. We call this range of hosting packages the ISP Shared Web Hosting Plans. Cheap Hosting Packages with phone support starting from $11 per month and $4.95 per month for the Centaur Hosting Packages. Email addresses and Webspace included in each package.